So let's take a look into the Goodie Bag. 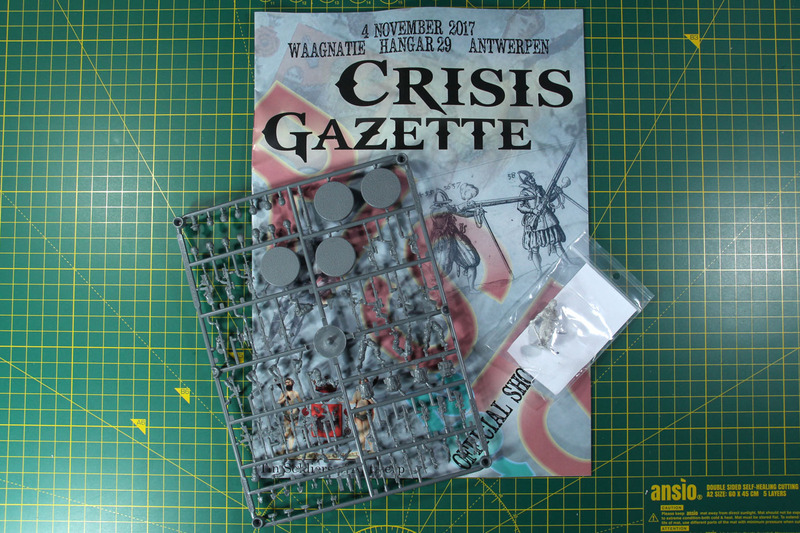 The current Crisis Gazette, the event miniature and an individual sprue. Yes, that is all. I'm a bit disappointed myself, as compared to the years before (and a 20% price rise) this is a bit little. For comparison, back in 2015 (an anniversary bag to be fair), there was a bit more in the bag. 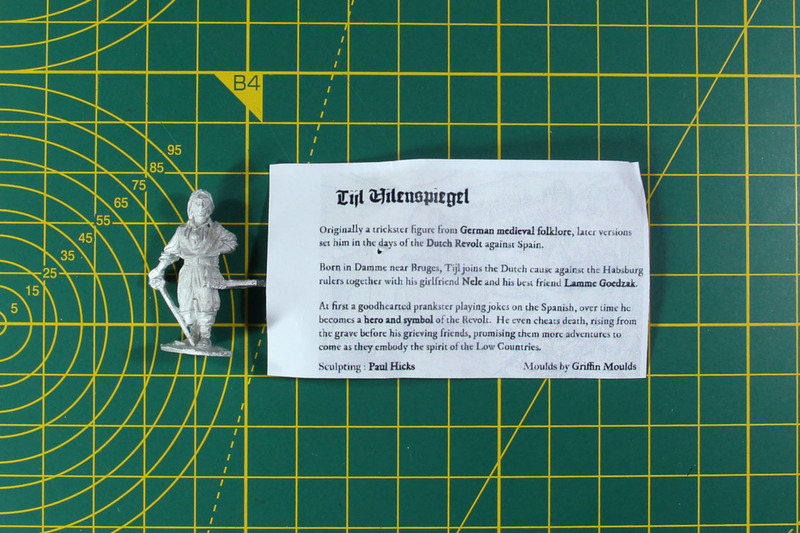 In 2014 there were tokens and some extra gubbins as well. 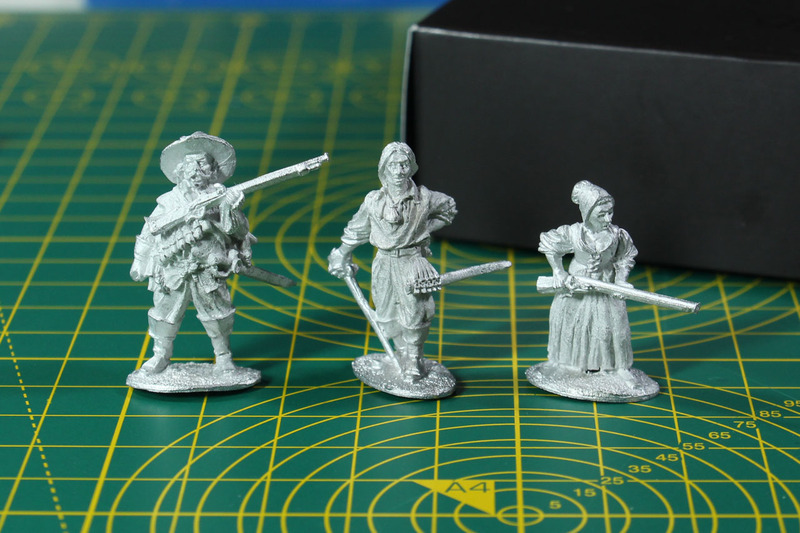 There was a special add on to this years show miniature of Tijl Uilenspiegel, his companions Lamme Goedzak and Nele. 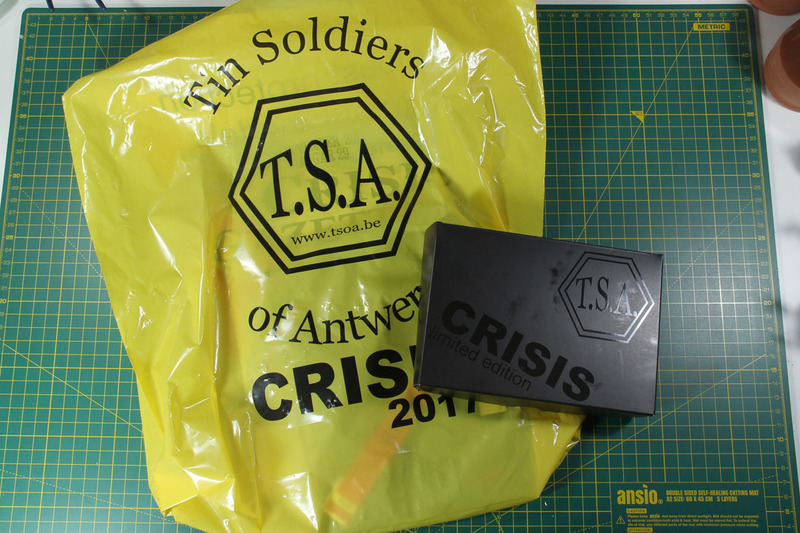 The two were offered in a limited edition of 500 units for 10 Euro, including a special "Diorama base". You can see in the box is a third dug out for Tijl to be included. 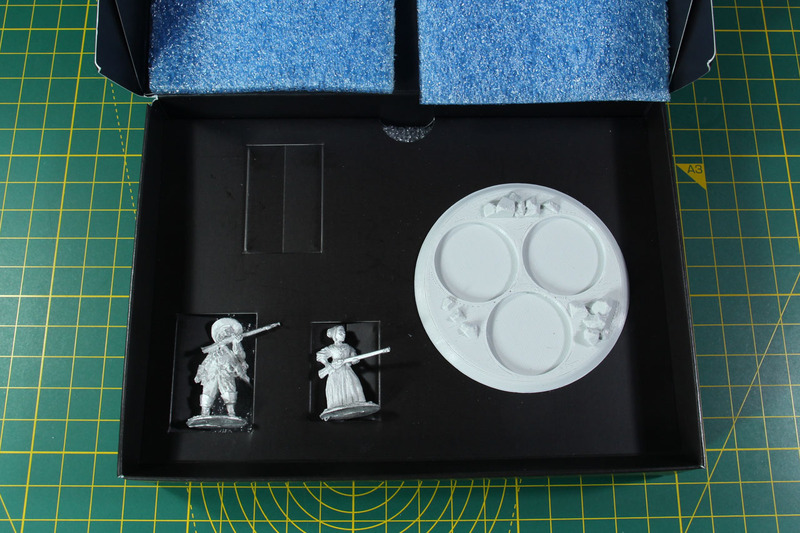 As with the "special" diorama base, I don't really get that one, as from the way it was promoted I expected a bit more than this. 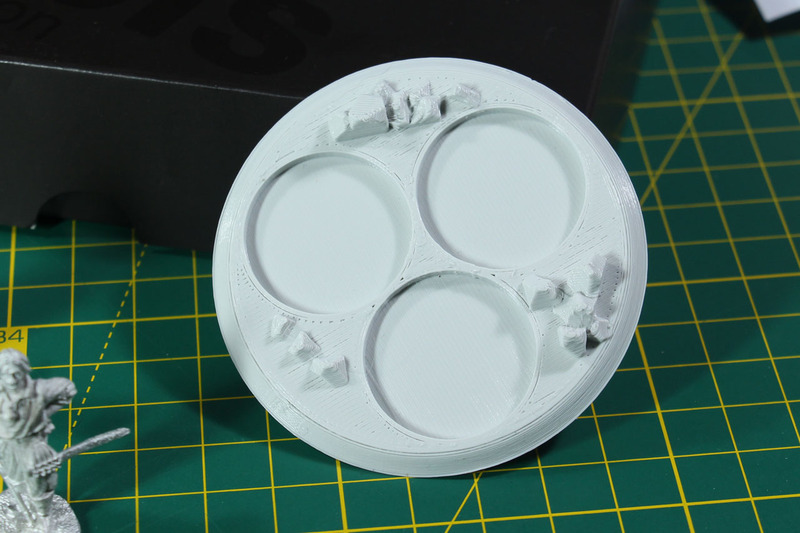 It is not casted, but 3D printed in a very haste way, having large steps and rather poor detail of the rubble. 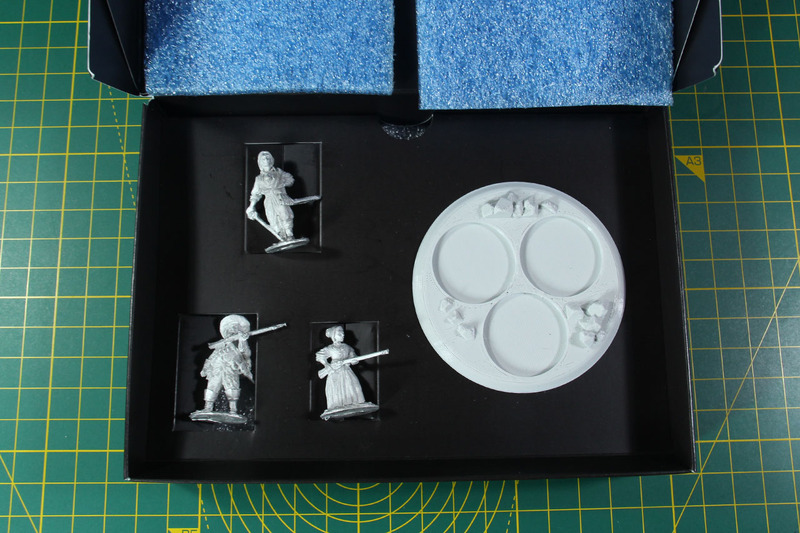 I don't understand why they didn't approach Warlord Games (As they have cooperated in the past) and just took the plastic triple bases from Test of honour, that would have been easier and cheaper. Maybe not that "special", but a solid hard plastic base seems more reliable than this 3D printed piece. However, the three were sculpted by Paul Hicks, like the miniatures of the last couple of Crisis event miniatures, and he did a pretty good job on them. Casting was done by Griffin Moulds. Good job on that part, little mold lines and flash. Proper quality. Now what did I buy at the show? This is a tricky topic. I pre-ordered quite a lot. I took the time to get in touch with a couple of companies before the show, send them e-mails or contacted them via their facebook pages and asked about the items that I'd like to buy, simply to avoid being at the show and missing that one thing. How do I put this in the proper words? Out of 7 companies, 5 managed to straight mess up the orders. Either they forgot to bring them or they brought the wrong articles (And I even included the product codes and links from their shops). Of the remaining 2 companies, only Heer46 managed to deliver properly. 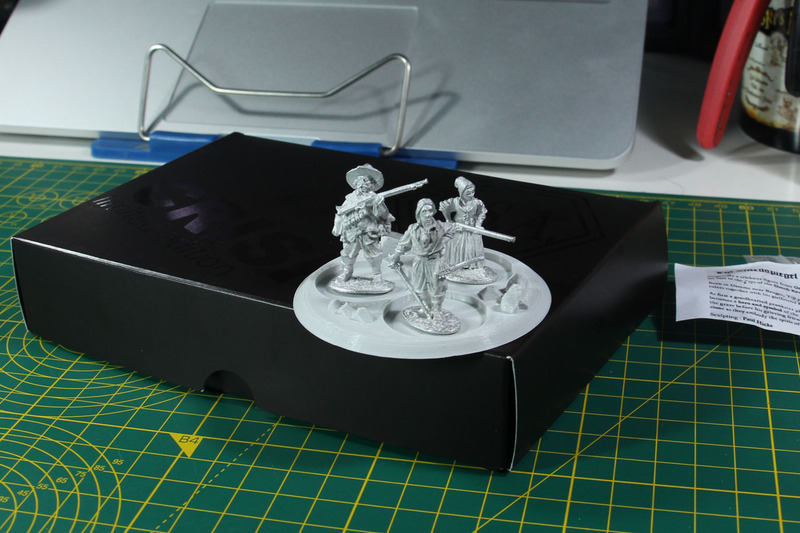 Thanks to Denis for getting me one of the first casts of the new PAKs. 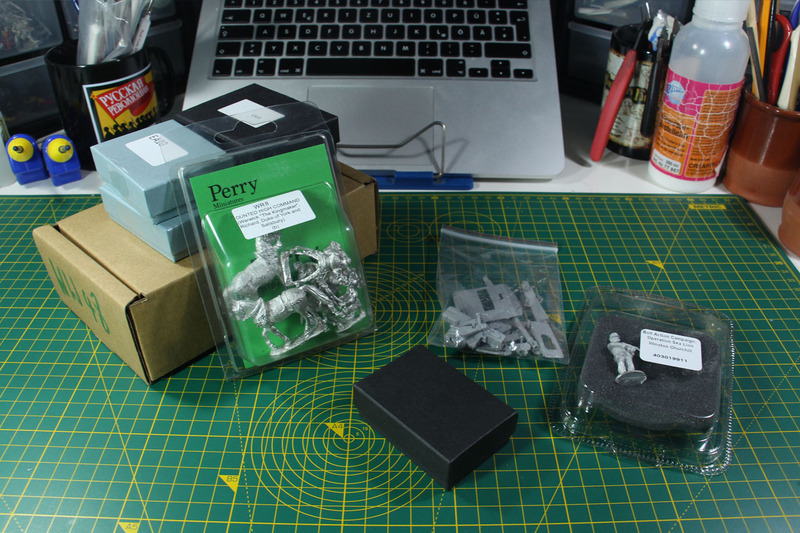 As with Perry Miniatures / Dave Thomas, I was very happy that I could do a pre-order like some of the years before and I was able to get my hands on an AEC Dorchester. There was a minor mix up with some of the other items that I bought, but a brief e-mail to Dave and he sorted the things out right away. Great customer service! As I had items on my wishlist, that I couldn't buy, I tried to re-arrange the money flow. 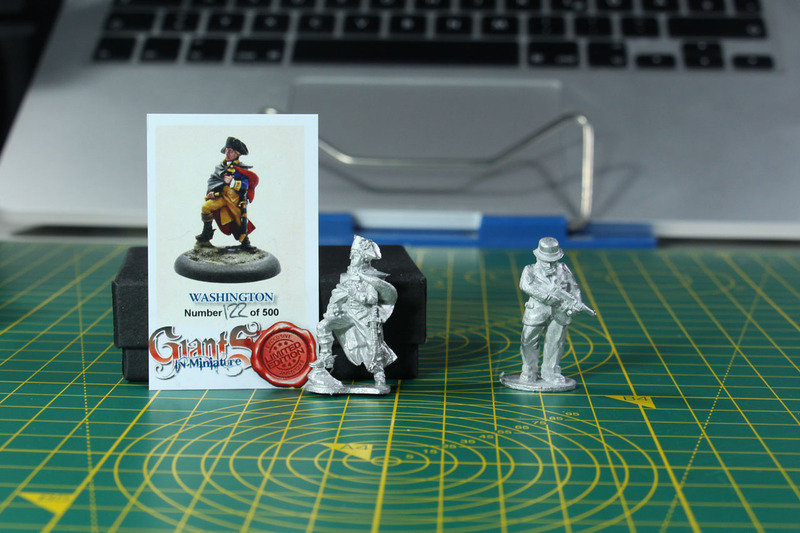 I got myself from Wargames Illustrated Giants in Miniatures range George Washington and was able to pick up Churchill from my Campaign Sealion book. I would have bought more things at the show, but traders converting 5 GBP into 7 EUR, 7 GBP into 9 EUR and so ons (just for your convenience, the Pound-Euro rate is 1,12) or similiar, just didn't set me in the right mood to part with my money. Some of that nonsense was even promoted as show offers. Seriously, I'm aware a show costs you money, but if you charge me more than I'd pay using my credit card to buy it online at your own store incl. shipping, why even bother to go to a trade show? 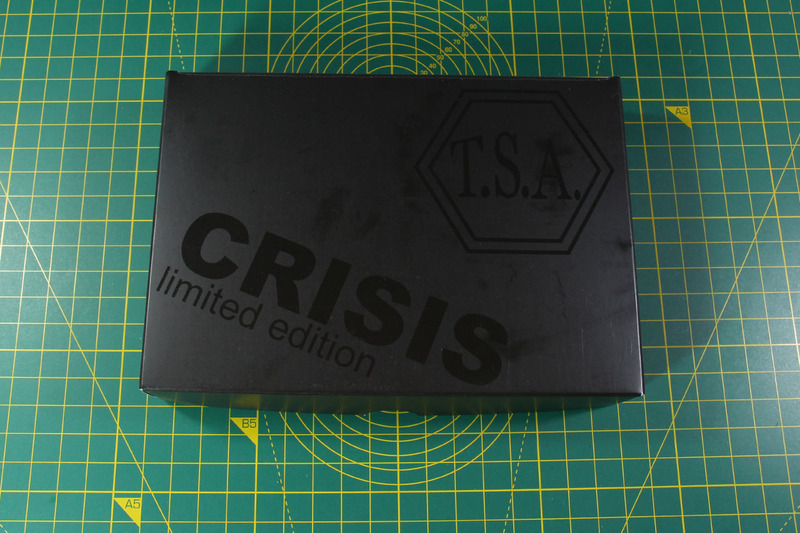 Crisis is a good show, well organised and such, but with these experiences with traders, I'll either look for a UK show where I pay directly in GBP or order online. It isn't unlikey that I'll skip next years show for something else, like maybe again Spiel (they have great show offers) and some UK show like Partizan or Salute, where I can finally get my hands on Claymore Casting and more 1st Corps goodness.